"Tires are good the price is very reasonable check them out"
"Had a great experience at Danis Auto on Harbison Ave with Maurice my salesperson he was very knowledgeable, Friendly, and accommodated all the concerns I had about the process...George the GM was at very helpful at getting me at the numbers I wanted to be at "
"Went with my with my son to purchase a car. They were very professional, quick N explained everything to us. I would definitely recommend them"
"Angel is the best. 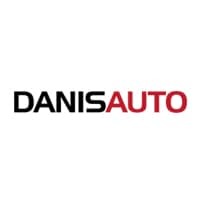 If looking for a vehicle I recommend Dani’s auto. Ask for Angel "
"Angel is the best!! Came in with no down payment, was really here to just look around. Ended up leaving with a major upgrade! Definitely recommend!"